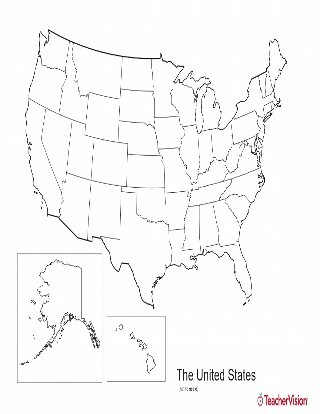 This blank map of USA with states outlined is a great printable resource to teach your students about the geography of the United States. Challenge your students to identify, label and color all fifty states. This is a great resource to use in your classroom to teach your students about the development of the US, states and cities, geologic formations, rivers and more.